Zellige, zillij or zellij (Arabic: الزليج‎) is terra cotta tilework covered with enamel in the form of chips set into plaster. It is one of the main characteristics of the Moroccan architecture though it is also used in other North African and Muslim countries. 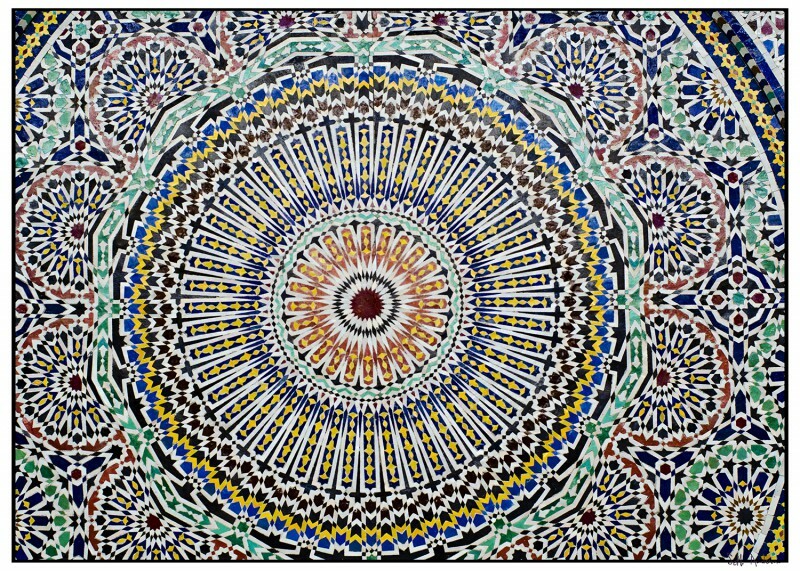 It consists of geometrical mosaics made ceramic used mainly as an ornament for walls, ceilings, fountains, floors, pools, tables, etc.